Mental! 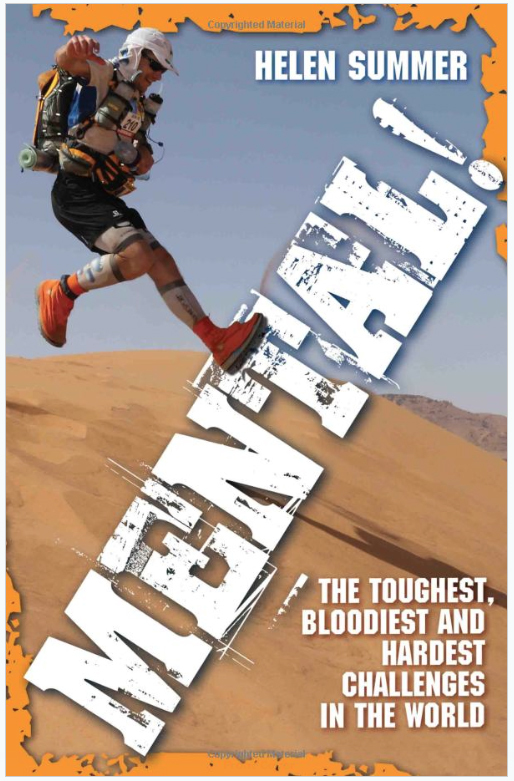 : The Toughest, Bloodiest and Hardiest Challenges in the World! Back from summer holidays and a belated thanks to Helen Summer for a copy of her new book “Mental! The toughest, bloodiest and hardest challenges in the world” which features some of the toughest runs out there (and Tough Mudder). 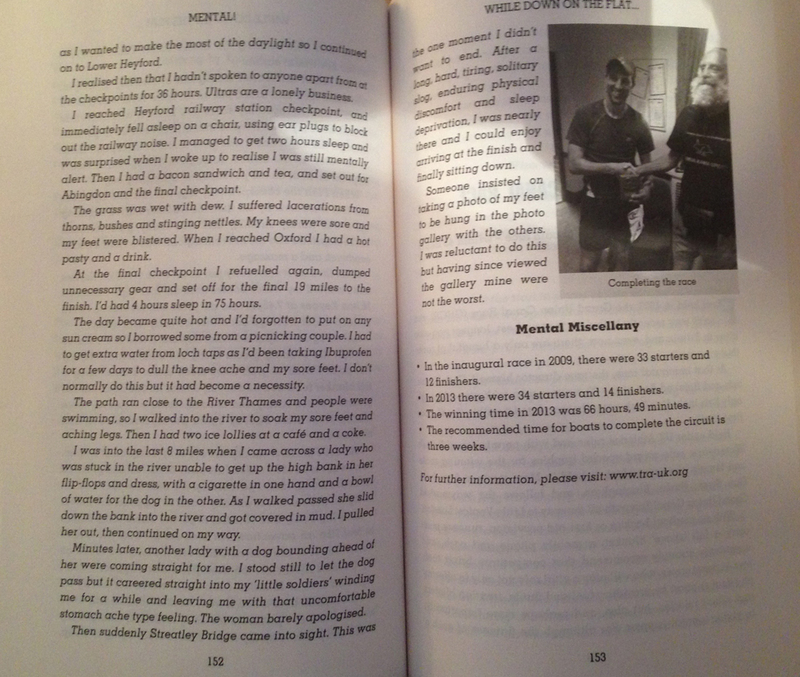 The book is obviously awesome as I’m featured in it with my report from last years Thames Ring but there are also lots of other reports from friends and fellow runners who have taken on some completely ‘mental’ running events (see what I did there) from around the world. Before I get too many delusions of grandeur, my less than impressive effort at the Picnic Marathon a few years ago is also mentioned (hey it was only my second or third ever marathon) if you fancy reading about how it took me 6.5 hours to complete the marathon! Funnily enough, I will be returning to the scene of that particular race when I partake in the North Downs 100 next week (had a bit of a calf strain which is healing well so should be ok for the race) and I am thoroughly looking forward to Box Hill. I wonder if I can go as slowly up those steps as I did last time. The book is well worth a read and available from Amazon in paperback and kindle format here if you are interested.